Bertina Review 2019: Is Bertina a Good Hosting? You’ll scarcely be able to believe the hosting prices you see at Bertina. And although their prices are all affordable, they provide an extensive array of web hosting, VPS, and dedicated server products with plenty of web hosting services delivered from multiple data center facilities. Bertina started life as an Iranian hosting provider in 2003. They are one of the largest Iranian hosting providers with an extensive list of hosting products and hosting services. They have also racked up several prizes for their product innovation in this field, and they are the only Iranian company with a Google Certification. They provide hosting from Iranian servers as well as via a number of international companies thanks to their infrastructure partnerships. Free and purchasable SSL certificates by GeoTrust, Comodo, etc. You should always get great performance with Bertina. Even their web hosting plans are based on SSD storage with RAID 10 controllers, and they run on LiteSpeed web servers with CloudLinux as the operating system. These servers are also optimized for PHP-based website builders such as Joomla and WordPress, and you get separate storage for your actual website hosting and your databases, which eliminates performance bottlenecks. All Linux plans also come with the fantastic cPanel. Additionally, Bertina hosts from LeaseWeb, Redstation, and OVH.com servers so that you know you have quality facilities hosting your solution. VPS and dedicated servers are bare except for your operating system. For both, you can choose between several Linux and Windows distributions. Just like web hosting, storage is SSD with RAID 10, but with dedicated servers, you can opt for standard hard drives for more space (up to 4TB), and both come with 1 Gbps port speeds. There might not be as wide a range of VPS configurations as with other hosts, but the dedicated servers can have quite extensive resources. You can also extensively upgrade your hosting at an extra cost. The pricing for all their hosting solutions is incredibly cheap compared to just about any other host. Most plans also allow you to choose between monthly and discounted (up to 50% off) yearly hosting. Prices also include a free SSL certificate, and all Linux plans include a cPanel license. The VPS plans are just as cheap compared to other providers, but the annual billing isn’t discounted. You can also choose between Iran-based hosting or overseas hosting (which is only marginally more expensive). All operating systems are free, but you’ll have to purchase a control panel license. 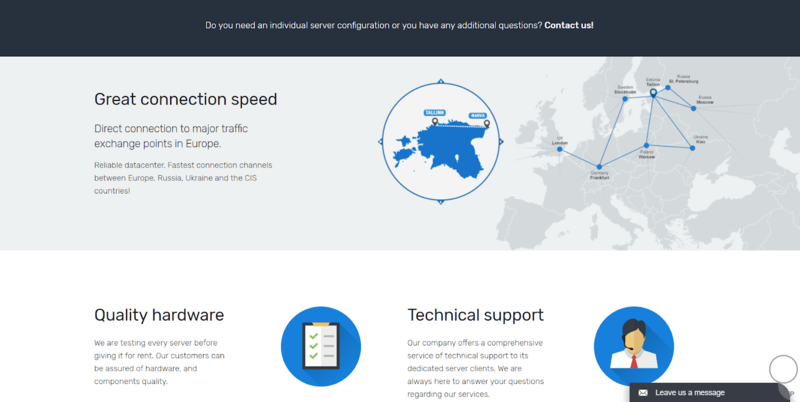 It’s similar for dedicated servers but with the option of German or Iranian servers. However, the German servers are quite a lot more expensive. Unfortunately, they don’t offer any money-back guarantees under any circumstances. However, they do provide refunds for excessive downtime. 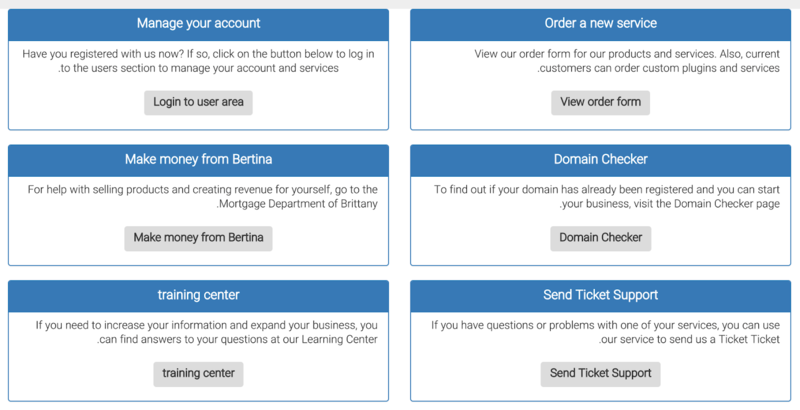 Bertina provides 24/7 phone, ticket, and live chat support with all their hosting products. They suggest that the average response time for their tickets and live chat is about 15-20 minutes, and this seems to be accurate. They also offer an extensive knowledge base with many topics, so that you can help yourself. The helpful, knowledgeable and committed staff make Bertina’s support really good. With one of the widest ranges of resources at extremely low prices, Bertina’s products should provide something for everyone at a rate they can afford. However, they aren’t the easiest-to-use, and they don’t have any application-specific hosting. Wondering how Bertina stacks up against other Web Hosting companies? Enter any other Web Hosting company and we will give you a side-by-side comparison.